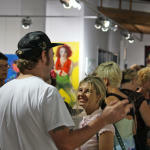 A State of the Art and the largest Contemporary Art Gallery on the Gold Coast, Australia. Our warehouse-nouveau style arts facility boasts 380 sq. metres of exhibition wall space divided into five Gallery sections of various sizes. Our stockroom is additional 80 sq. meters adjacent to the gallery. 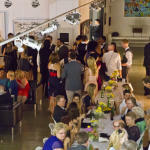 We have the capacity to accommodate large group shows, or be sectioned off to conduct separate exhibitions and events. Open to the public Tuesdays to Saturdays, 10am – 5pm, (see location) or by private appointment, 19 Karen Contemporary Artspace stages exhibitions showcasing emerging, mid-career & established Australian and International artists. 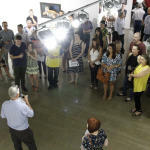 All Solo and Group exhibitions are curated by the Gallery Director. 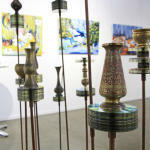 View our Current & Upcoming Exhibitions page to see what’s being showcased. To receive a personal invitation to future events please join our mailing list by subscribing on our website. Payment available by Credit Card, PayPal, Direct Deposit (Banking Details available on request), International Money Wire Transfers (Swift code available on request). 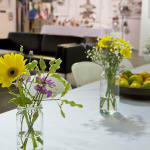 Looking for a unique, creative space to hold your next event? 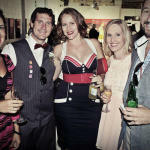 Want to launch your business or product in a creative environment surrounded by art? 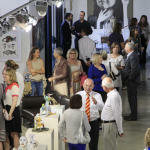 Our gallery is available to hire for private & public events and functions for up to 300 people. Ladies’ toilets and 1 Mens’ toilet. Minimum 7 hours including bump in and bump out. Cleaning is extra. The Hirer should organize their own event programming, entertainment and catering. 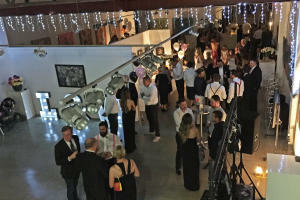 The Gallery Director reserves the right to select events based on the suitability and nature of the function style in accordance to gallery guidelines. 2 x Ladies toilets 1 x Men’s toilet. Basic kitchenette with food and beverage utensils and storage for events catering. TV and DVD player with sound. Most of the sections walls are gyprocked, one entire wall is white bricks. Outdoor back area for bar and smoking. Please note: We are currently not accepting any Artist Submissions. We review submissions via email attachments or websites only. We do not accept walk-in submissions and we do not hire out the gallery for exhibitions.. If your work appears both appropriate and timely for us to consider, we will contact you by phone or email. Due to the high number of submissions, we may only respond to artists we are considering.